As a professional athlete my health is my career. So, before I step onto the field, I step into Muscular Solutions. When I leave Barry's office I feel stronger and more energized; like I just had a tune-up. The result is that I play better on Sunday and for me that's the real proof. After getting two different diagnoses of bursitis from two different doctors, taking various prescription drugs and sitting around for a whole year with no lessening of my pain, I finally sought out Mr. Meklir's services. By the end of the second treatment, I was 100% and able to resume my busy lifestyle without pain. I have since recommended his services to several of my own clients who were suffering from athletic injuries or chronic pain and they have reported a similar level of satisfaction. After 11 months of various medical procedures (MRI, nerve conduction velocity test, mylegram), several doctors (neurologist, orthopedist, internist), physical therapy, two different massage therapists, and a chiropractor to treat pain and injuries I suffered in an automobile accident, I was referred to Barry Meklir. In three short visits I was 100% pain free and had regained full mobility. On Barry's advice, I am back working out on a regular basis and conditioning to once again play tennis and golf after nearly a year absence. My deepest gratitude and respect goes to Barry. He is without a doubt the reason for my recovery. The chiropractor had promised that my back problems would be cured after a year. After one year of seeing him 2-3 times a week, my back was improved, but not cured. He then claimed I needed a second year of treatment. I went to Barry Meklir on the recommendation of a friend. Barry identified the problem and cured my back pain after only two treatments! Now I see him 1-2 times a year for "a tune-up". If I did the exercises he gave me, I probably wouldn’t have to see him at all! After years of chronic pain and muscular problems and various attempts to alleviate my pain through bodywork, rolfing, and medication, I have finally found some relief. Barry combines multiple disciplines of bodywork to not only relieve the pain but to help prevent its return. I leave felling healthier and more in control of my body. For a little over two years I had bilateral tendonitis in my elbows. I had sought help from and internist, an orthopod, and finally a pain clinic, all to no avail. Mr. Meklir was my last hope. Withing three months of having regular muscular therapy and following his recommendations regarding specific strengthening exercises, I was pain free. To date, I continue to be pain free, am in great health... and continue to seek his advice on my current exercise program. Having had back surgery in 1984, I had grown accustomed to living with a certain degree of back and neck pain as well as frequent headaches. I wrongly believed nothing could be done about them. I was referred to Barry Meklir by a friend and only half believing I went to see him. It was with great surprise that after only 3 sessions with Barry I stopped using pain killers on a regular basis and started feeling really well! What was even more surprising was that Barry took the time to not only understand what was causing the pain, and fix it, but also to assess what in my daily routine could acerbate it and/or cause it to reoccur and wisely advised me on methods to prevent that from happening. I guess it is sad to have been surprised by such behavior; for it reflects the sorry state of our health care system when we expect to find doctors who are not truly devoted to helping their patients to their utmost abilities. It has been a relief and a pleasure to have found an exception in Barry. It is abundantly clear to me that he cares deeply about all of his patients and that he strives to make that caring evident in his practice. 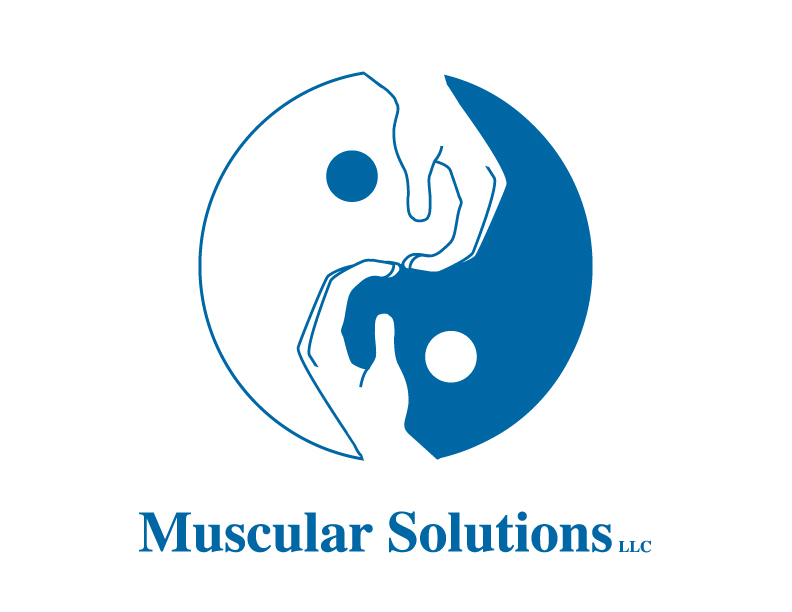 I would suggest to anyone who is in pain to lose the thought that "no one can help me, I'll just have to live with it" and take action by calling Muscular Solutions! When I came to see Barry, I had recently been in a motor vehicle accident, my neck and shoulders were locked up in severe spasms- so much so that I was walking around stooped over like an old woman. I was on a business trip and I was just looking for a little relaxing massage- instead, I found Barry. That was about six months ago - since then he has not only helped with the muscle spasms in my neck and shoulders but the pain in my lower back associated with other issues from my car accident. It has been such a pleasure working with him since he is always happy to support his treatment theory and practice with detailed explanations and even documentation from his books! Elizabeth Oei RN,BS, Product Manager : Physiometrix, Inc.
Before I started massage & physical therapy treatment with Barry I woke up every day with pain and swelling in my feet from a near fatal car accident 20 years ago that fractured both of them in multiple places. The pain and swelling in my feet had been debilitating ever since then but it was something I just learned to live with. A friend recommended Barry to me and after just a few appointments they feel brand new. It's amazing! I'm finally able to walk long distances without suffering for days afterward and I can even head to the mountains for a hike. Along with the various treatments he uses during your visit he sends you home with specific exercises and self-care ideas that actually work. I don't always understand what he's doing during a session, but I walk out of that room like a new woman. Thanks Barry, I can't recommend you highly enough. There have been many, many times that I wished I could just hop on a plane for a Barry tune-up. You helped my body and taught me a lot about what it means to be a body worker.